This absolutely charming and delightful lighting design by MArcantonio RAimondi MAlerba is sure to lighten the mood in any interior and works well as a surprise element in more austere spaces. With a structure cast in resin, the lamp comes with a 4.5m long cord, which is especially useful if you're using the hanging version high up on a wall. A simple two-prong plug makes it easy to connect and it's easily turned on with a built-in switch. Each lamp comes with an LED bulb included. 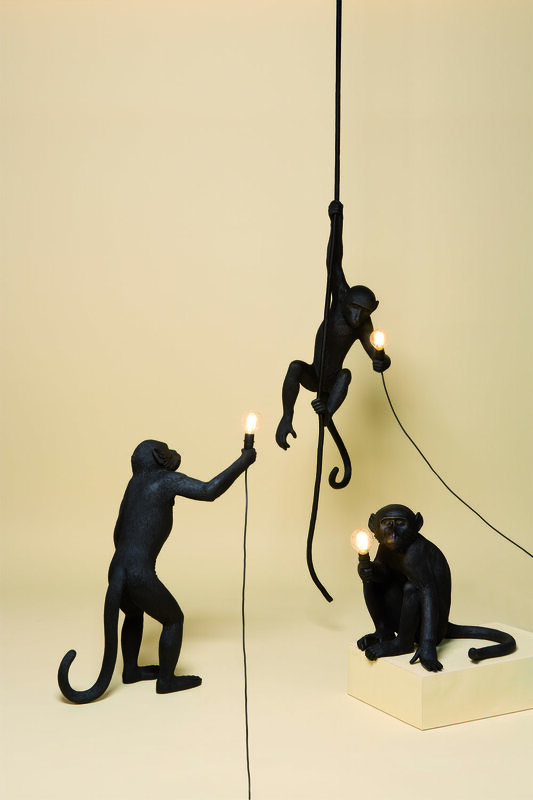 These Monkey lamps are the perfect example of Seletti's quest to create functional art.